Harding University, in Searcy, Arkansas, is a liberal arts college affiliated with the Churches of Christ. It’s scenic campus sits not that far from the Levy church’s campus in North Little Rock, AR. As a result of this fortunate geography we are quite often the happy recipients of Harding’s products–both their graduates who move into our area and their professors who occasionally speak here. So I give props to the university for their good work in emphasizing Christ in their educational process. We have different generations of Harding graduates at Levy and all bless our church. Within our leadership–among our shepherds and staff–we have Harding graduates. We get to enjoy a wonderful stream of young people fresh from the campus. They bring energy, vision, and faith, which in turn, continually creates a fresh, rejuvenating spirit within our congregation. My personal experience at Harding was through their Master of Ministry program. That was a tremendous growth period for me, but I have never been a resident student there. Our current preaching intern and several of our youth and children’s ministry interns are from Harding also. I am impressed by them all. And while I realize that there is no perfect school (and also acknowledge that Levy is blessed by those from other fine Christian schools and other universities)–Harding has indeed been a notable blessing to the Levy church over the years. So thanks to everyone who keeps the Harding tradition going! May God continue to bless the university! At Levy we look forward to future Harding graduates potentially coming our way. Serving as preaching intern this summer at Levy is Will Brannen. Will will be a junior at Harding University in Searcy, AR studying Bible and ministry. He is from Houston, TX. He and his family worship at the Bammel Church of Christ. I have known Will since 2003 when my family and I moved to work with the Gateway congregation in Pensacola, FL. Will and his family were living there then. Will has an amazing God story to share about his life. He had a heart transplant as an infant and is a two-time cancer survivor. He plans to tell us a little more about that soon at Levy. In spending dedicated time with Will–studying text; talking ministry and preaching; visiting people–I am deeply impressed by Will’s desire to serve God, his genuineness and his maturity. I am thankful that Will is with us for six weeks and I urge everyone at Levy to pray for him, encourage him and support him in his pursuit of a life of ministry. I am intimately familiar with preacher fails. I have lived through a host of my own. Here are five common ones. Lack of discipline. Usually the church world allows quite a bit of daily freedom for preachers to be about their ministry. This freedom can be easily taken advantage of—preachers staying at home and away—not being fully engaged in productive ministry. We preachers already put up with the “you only work three hours a week” barbs. Let’s not allow laziness and lack of discipline to give that any credence. Instead let’s fully “carry out the ministry God has given” us (2 Timothy 4:5 NLT). Inattention to study. Lack of discipline can also lead to sloppy study habits, which in turn damages our ability to effectively speak truth in love. Don’t take shortcuts on sermon preparation. We should put the proper study time in—so that we can be both confident in our presentation and content; that we are in fact handling correctly the Word of God. Inability to listen. I once was convinced that I pretty much had all of the answers and I was eager to share them! Failure on my part to appreciate and to listen to other’s council, to hear proper constructive criticism, to simply learn from wiser and more experienced people hurt my ministry at times. Let’s be quick to hear and slow to speak! Complaining. Everyone needs a place to vent on occasion—the same is true for preachers, but be very careful not to be seen as a whiner or complainer. This can undermine ministry. I have participated in and heard my fair share of elder roasts, how-terrible-my-church-is conversations, and complaints about everything from salaries to worship style. If things need improving usually complaining or whining is not the catalyst to make it happen. Instead let’s try to do all things without complaining and grumbling (Philippians 2:14). People Pleasing. We all desire affirmation—preachers are no exception. And as preachers we certainly want to “become all things to all people so that by all possible means I may save some” (1 Corinthians 9:22), but not to the point of compromising personal or biblical integrity. Ultimately we will give account of our life and ministry to God. We simply cannot allow a desire to please people set the agenda for our work. It can be harmful to us, to our families and to our ministry. There is a balance here that we all must find. Preaching is one of the most noble and needed callings! Let’s do it with a passion for excellence. I praise God for good preachers! The Growing Healthcare Crisis Among Ministers? First, this post is not about partisan politics. I am not inviting any harsh rhetoric or political debates. This would be counterproductive. I am inviting a dialogue. I am seeking information. Perhaps something you know could help someone else. Those who are in full-time ministry occupy a rather unique tax status. We are considered self-employed when it comes to Social Security, but employed when it comes to income tax. That is one financial hurdle of our profession. Another one–particularly for those of us serving in independent fellowships (such as the Churches of Christ)–is that there is no church-wide system to assist us in such things as planning retirement and healthcare. If assistance for these things exists they are negotiated through the local congregation in which we serve. And since most of our congregations of the Churches of Christ are not that large they cannot afford much more than just a salary. This leaves the minister alone to bear the expense of both retirement and healthcare and quite often either one or both go lacking. I have seen and lived the consequences of this over the years. I know ministers who continue to work well past retirement years out of necessity (yes, some continue because they enjoy serving and could not imagine ever not being involved in ministry). I have also known (and this seems to be only increasing) ministers who have either no or very inadequate healthcare coverage (particularly if they do not receive it through the employment of their spouse). Yes, there seems to be a growing healthcare crisis among ministers. While I do not know the workings of or specific details about the new Affordable Healthcare Act–the information I am getting from fellow ministers is, that it is only making an already expensive situation even more costly and more complicated. So, what can be done about this crisis? What can our churches do to help? What alternatives are out there besides what is offered through the ACA? Is the ACA actually working for any ministers? Ministers and their families without healthcare is not only a personal issue, it would seem to be a congregational one as well. What would happen in your congregation if an uninsured minister or family member became ill or were injured in an accident? Would the congregation feel compelled to cover the costs (or at least some of them)? 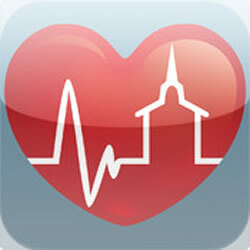 Would it not be better stewardship then to help provide healthcare for you minister–before a tragedy occurs? What would the weight of healthcare debt do to the ability of a minister to serve effectively? Could this force him out of ministry into another profession that offers healthcare options? There are many questions here–including is there really a crisis? Perhaps you know some of the answers to these questions. Your input on this is welcome. You are currently browsing the archives for the ministry category.